It has been a while since I have blogged here, and not without good reason. 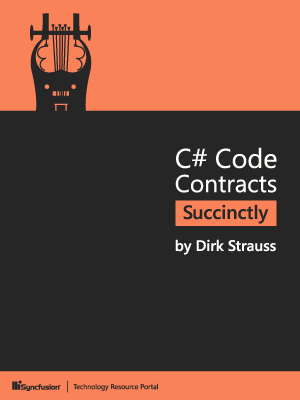 I have been busy writing and have recently released C# Code Contracts Succinctly which can be downloaded for free from Syncfusion’s website. Code Contracts, love them or hate them… I think they’re pretty cool. If you are interested in checking them out, head on over to the Syncfusion website and grab some free, high quality eBooks. There is a LOT to choose from. I will be mostly absent from writing on this blog for a while, as I have other outstanding projects that I am working on. I will however never abandon my first love, which is blogging.